Home » NLP School blog » Is There a ‘Fifth Way’ When it Comes to Coaching? With our Advanced Coaching course starting on 18 -20 November in London, I wanted to blog this week on the often-confusing divide between coaching, psychology and philosophy. Philosophy has for thousands of years, asked questions. Who are we? What makes us ‘tick’? What, if anything, can be done about the more painful aspects of human nature, and what is our purpose? All cultures seem to have developed ways of answering these questions, many through myth or ritual. 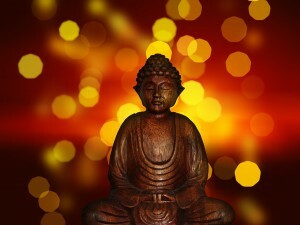 Around 2,500 years ago, thinkers began to try and produce more formal, explicit, systemic answers: Confucius in China; Buddha in India; the first Greek philosophers. These systems still hold huge power today – for example the philosopher A. N. Whitehead said that all modern thought was a ‘series of footnotes to Plato’. However, with the rise of science, the approaches of both the great spiritual and philosophical traditions began to be questioned. Modern medicine was born, and people began to ask how mental suffering could be treated effectively, using a robust medical approach – rather than a confused mishmash of asylums, exorcisms and lofty intellectualism. The discipline of psychology emerged in the late nineteenth century. Sigmund Freud explained with scary clarity how neuroses arose. He created psychology as a science which firmly drove a wedge between itself and its predecessor, philosophy. The significance of his creation cannot be understated – it has changed society radically. However, the Freudian approach suffered from a common fault of anything created by a great innovator: ‘my way is the only way’. 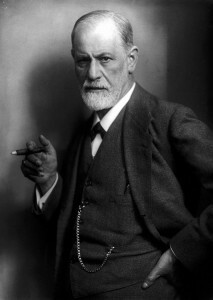 Psychoanalysis was based on a hierarchical relationship. It insisted that disorders came only from problems created in childhood. The second half of the twentieth century saw many new attempts at creating improved therapeutic methods. There’s not the space to go into them all here. NLP was one of these, based on the close observation and modeling of three highly effective therapists: Fritz Perls, Virginia Satir and Milton Erikson. Regular visitors to this blog will know how impressed I am with NLP. I have seen it change lives. Its open, practical approach – NLP’s motto is ‘what works’ – has enabled a reintroduction of some of the key philosophical and mindful approaches that are often lost in scientific psychology training. However it is not without its flaws: it can become too process-driven, something done to the client rather than engaging them in the experience. At the same time, its loose organizational structure leaves it open to wannabe gurus and charlatans eager to jump on its bandwagon. Coaching sets out to remedy these faults: it is more professional, with formal accreditation bodies and postgraduate courses available. It turns the focus firmly back on the client, who drives the process. The coach is a facilitator, a listener, nudging the client towards flourishing rather than leading them. However coaching itself is not without problems. Sometimes nudges aren’t enough: faced with deeper issues, coaching just steps back and hands the problem back to religion, philosophy, psychiatry or psychotherapy. Is there a fifth way? I’d love to say I have now produced a ‘fifth way’ that combines all the strengths of the above approaches and none of their weaknesses. I can’t, of course. But I have created my models and courses in the light of the above narrative. I do strive for such a combination – the stress on core values from religion and philosophy, the clarity of psychological understanding, a determination to find therapeutic tools that work, and the positivity and respectfulness of coaching. I hope that delegates will find many of these things in my Coaching and Advanced Coaching Skills training.